The chunky KHARI ring in a 'boyfriend' look will make you look and feel empowered and feminine. 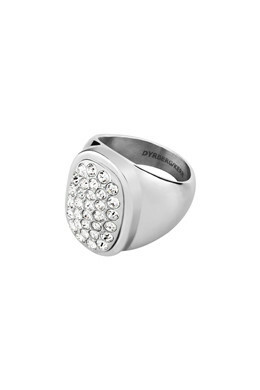 The design is inspired from the popular signét ring and adorned with clear crystals. Shown here in a silver toned finish.